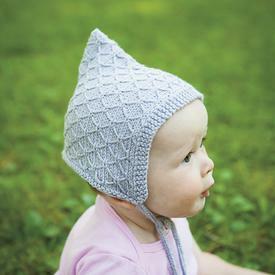 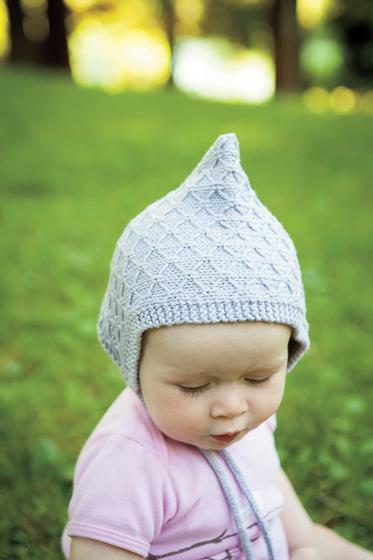 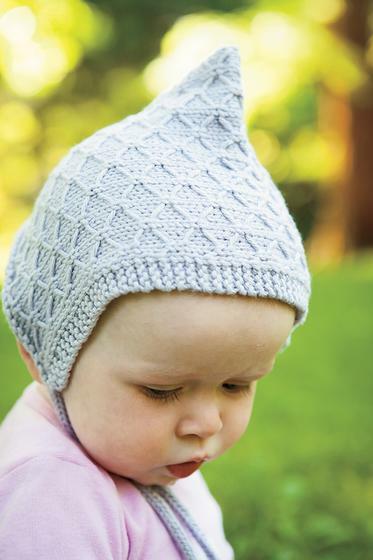 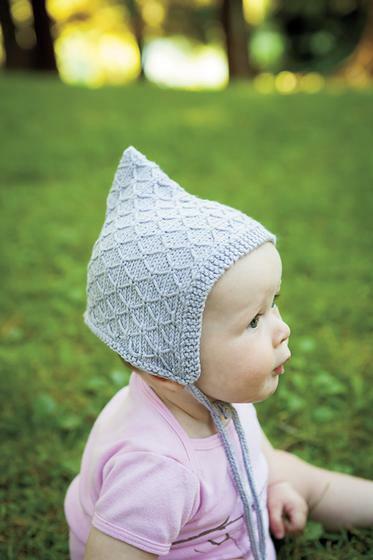 Reminiscent of old diamond pane windows and garden lattices woven with climbing roses, the Lattice Bonnet is a sweet, fun knit that is sure to become a family heirloom. 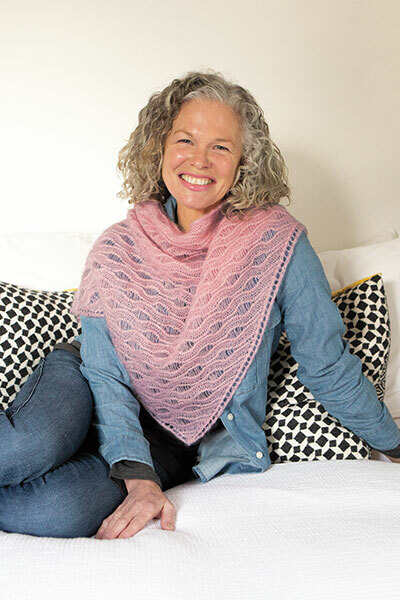 Worked Flat and then seamed, this project uses the quilted lattice stitch to create a textured, delicate fabric that is deceptively simple to knit. 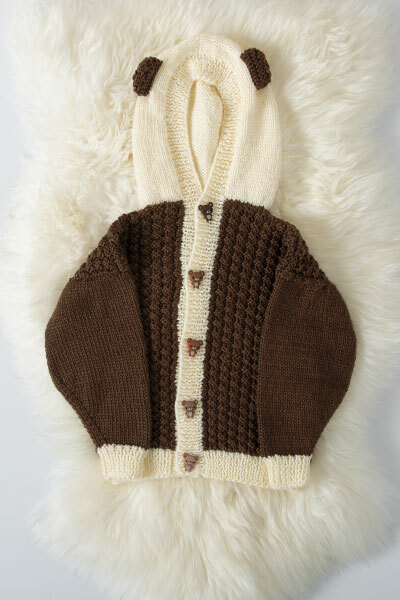 Sizes: To fit sizes Preemie (Newborn, 3-6 months, 6-9 months) 4 (5, 6, 7)" deep x 9 (11, 13, 15)” high, unseamed. 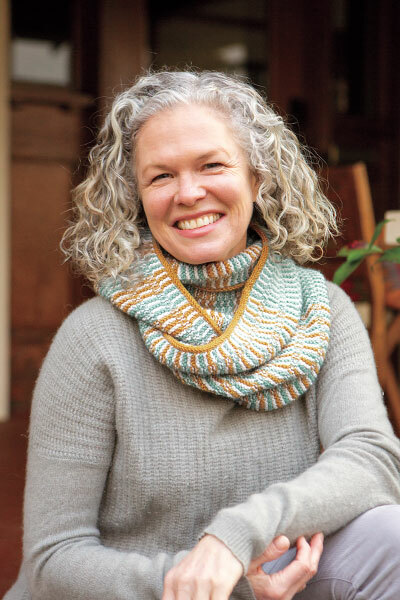 4 (5, 6, 7)"